A day with the masters. On October 21, 2015, spend the whole day with the creme de la creme of the Marketing Industry as they share their personal stories about the industry. You can also have the chance to mingle and pick the brains of these masters. 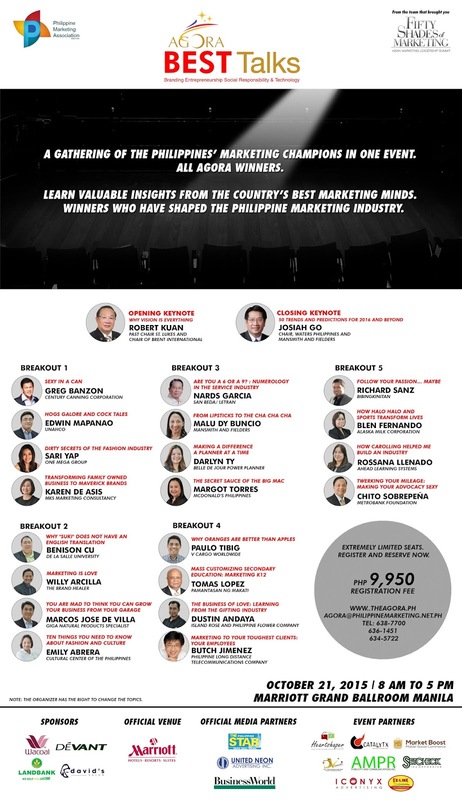 Check our website- theagora.ph REGISTER now. Limited Slots only.